Infinova’s V1421 series are designed to operate in unique installations such as marine, industrial, chemical and in highly corrosive environments. 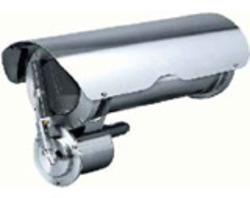 The 316L stainless steel construction complies with weather proof IP68 standards. The V1421 housing series has a set of factory installed accessories that include a sunshield and heater. Input power is 24 or 230 VAC. Suraj Informatics has designed and implemented last mile solutions for leading services provider, enterprise and its expertise in network engineering, along with its partnership with leading hardware and software vendors, make it the right choice for designing and deploying the services.